You are at:Home»News»Hanoi Vietnam: Increased groundwater pumping draws Arsenic from contaminated wetlands and rivers. Monsoonal regions such as Hanoi, Vietnam consist of lands with higher ground water levels than rivers or wetlands, which causes water to flow from aquifers in to nearby waterways. An increase in urban water pumping however has caused a reverse effect causing river or wetland water contaminated with dissolved arsenic to flow in to aquifers. Arsenic contamination affects many other countries including parts of the United States however; this effect seems much greater in Southeast Asia especially in underprivileged communities. 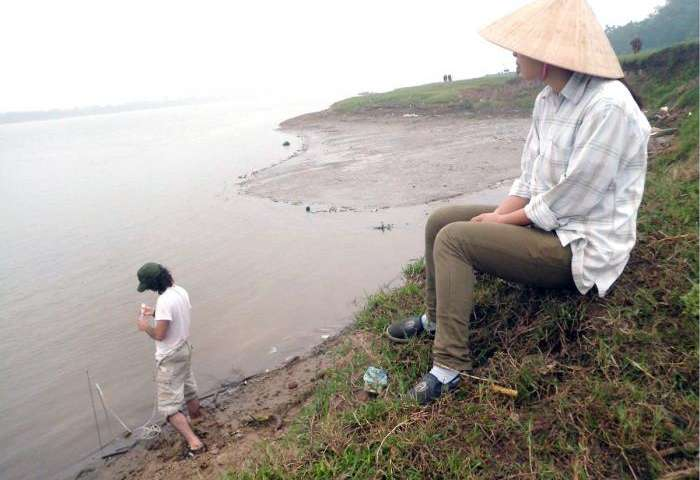 The Red river near Hanoi has been tested by scientists and was found to have rather high amounts of dissolved arsenic. By testing this river, the scientists concluded that the arsenic concentration was highest where the river flow was slow and new sediment was deposited. Fresh sediments are easily capable of releasing arsenic as water flows, thus contaminating rivers, which seeps in to groundwater due to the increase of urban water pumping.